What is site location mapping? What is site detail mapping? What is the difference between map scales? How do I get my maps? For most property developments getting planning permission is a legal requirement. Its main purpose is to control the impact of buildings on the environment. All applications must include copies of a location plan based on an up-to-date map at a scale of 1:1250, 1:2500 or in remote areas 1:10000. The number of copies required does vary, the regulations usually require one original plan together with a further three copies (if you order paper maps we supply you with six copies). 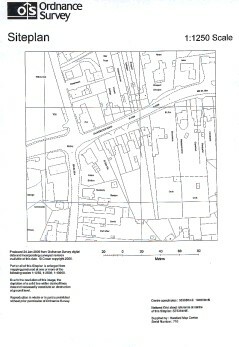 The properties shown should be numbered or named to ensure that the exact location of the application site is clear. 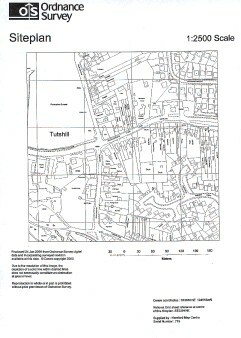 The regulations usually require one original plan together with a further three copies (if you order paper maps we supply you with six copies). 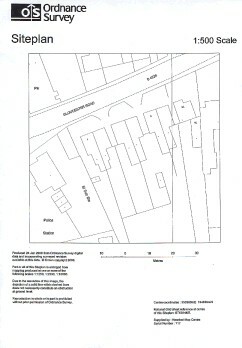 This should be drawn at a scale of at 1:500 or 1:200 and should accurately show the proposed development in relation to the site boundaries and other existing buildings on the site, with written dimensions including those to the boundaries. 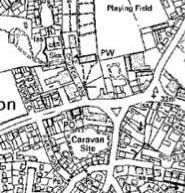 One centimetre on a 1:200 scale map is equal to 200 centimetres (or 2 metres) on the ground. At this scale, roads, buildings, fences and landscape features are shown in detail. The shapes of individual buildings are accurately represented as well as being named or numbered. One centimetre on a 1:500 scale map is equal to 500 centimetres (or 5 metres) on the ground. At this scale, roads, buildings, fences and landscape features are shown in detail. The shapes of individual buildings are accurately represented as well as being named or numbered. One centimetre on a 1:1250 scale map is equal to 1250 centimetres (or 12.5 metres) on the ground. At this scale, roads, buildings, fences and landscape features are shown in detail. The shapes of individual buildings are accurately represented as well as being named or numbered. Most rural areas are covered at 1:2500 scale (1 centimetre on the map is equal to 2 500 centimetres – or 25 metres – on the ground). At this scale, roads, buildings, fences and landscape features are shown in detail. The shapes of individual buildings are accurately represented as well as being named or numbered. The whole of GB is covered at 1:10000 scale ( 1 centimetre on the map is equal to 10000 centimetres – or 100 metres – on the ground). This scale would be used for remote rural locations. Protx provide secure online credit card and debit card payment solutions for thousands of online and mail order businesses across the UK. All transaction information passed between www.Planningapplicationmaps.co.uk and the Protx VSP Systems is encrypted using 128-bit SSL certificates. No cardholder information is ever passed unencrypted. You can be completely secure in the knowledge that nothing you pass to the Protx servers via this website can be examined, used or modified by any third parties attempting to gain access to sensitive information. If your computer is running windows XP or Vsta this file can be opened direct from the email using a program called windows picture and fax viewer, some email providers may not allow it to be opened direct from the mailbox, If this is the case you may have to download it to you desktop first and then open it using windows picture and fax viewer. If you try opening it direct from the email and get a blank page chances are that your computer is trying to open it in a different program. Many of the current photo shop packages once loaded try to open all tiff files. We recommend in these cases that you download the file to your desk top and then right click and select 'open with', this should give you a menu which you select windows picture and fax viewer. NB: for those who are using Macs the recommended program to open the file in is illustrator.